New Delhi, April 28th, 2017 – Riding on a strong commitment to Health safety well being and zero tolerance to distracted driving, SaveLIFE Foundation and Vodafone India Ltd released a first of its kind study on the theme of “Safety in Mobility” in New Delhi, today. The study reveals 94 per cent of people acknowledge using mobile phones during driving as being dangerous but 47 per cent of them admit to receiving calls while driving. The report titled, “Distracted Driving in India: A Study on Mobile Phone Usage, Pattern and Behaviour” was released by P Balaji, Director External Affairs, Regulatory & CSR, Vodafone Indiaand Saji Cherian, Director Operations-SaveLIFE Foundation. 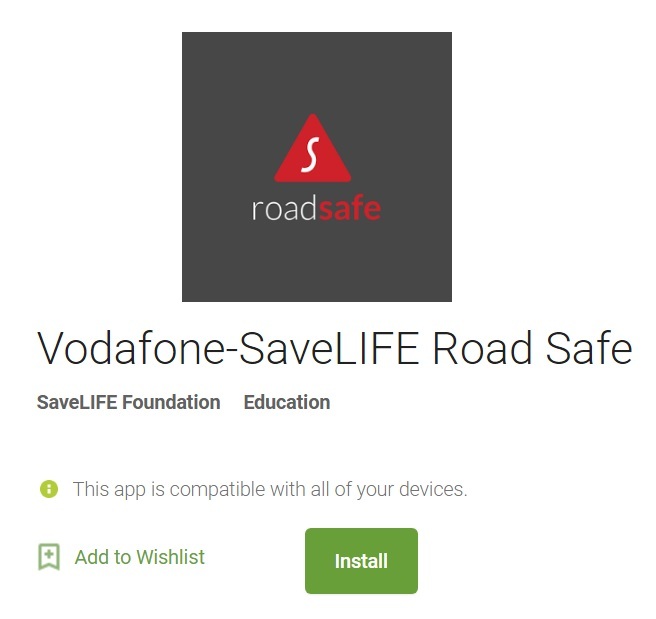 The launch of the study was graced by Joint Secretary of the Ministry of Road Transport & Highways, Abhay Damle who also launched the Vodafone-SaveLIFE Foundation “Road Safe” mobile application. The app which has been created with the objective of keeping drivers away from distractions while driving also provides useful tips on safe driving. This first of a kind study released in India is based on a survey conducted by international research agency Kantar Public covering 8 cities and a total of 1749 respondents covering four typologies of drivers: two-wheelers, three-wheelers, four-wheelers and truck/bus drivers. Amongst other findings, the study reveals that 34 per cent of all respondents tend to apply sudden brakes when talking on the phone while driving, while 20 per cent of respondents admit to having had near-miss situations or having experienced road crash due to using mobile phones while driving. 96 per cent of people spoken to, tend to feel unsafe as passengers if the driver was using mobile phone while driving. Commenting on the noble initiative Mr. Abhay Damle, Joint Secretary, MoRTH stated, “The Government of India is committed to reducing road crash deaths and injuries. The Motor Vehicles Amendment Bill has been passed by Lok Sabha. The Bill is likely to be considered by Rajya Sabha in the monsoon session. The Bill provides for strict penalties for dangerous driving including use of mobile phones while driving. We urge drivers to refrain from this practice." 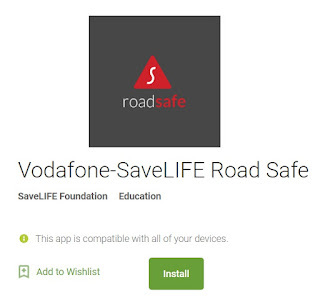 SaveLIFE Foundation (SLF) is an independent, non-profit, non-governmental organization focused on improving road safety and emergency medical care across India. SLF combines innovative on-ground interventions with advocacy for stronger national level policies to establish a sustainable framework for Road Safety in India. Vodafone Indiais a 100% fully owned subsidiary of the Vodafone Group Plc. with operations across the country serving over 204 million customers (over 106 million in rural areas). Commencing operations in 2007, Vodafone is today a robust, award-winning business and committed for the long term. Vodafone Business Services serves the needs of enterprises and government by providing total telecommunications (Voice and Data) solutions across mobility and wireline platforms. Our mobile wallet, M-Pesa is a unique and innovative money transfer service from Vodafone that fosters financial inclusion. Globally, Vodafone is one of the world’s largest telecommunications companies and provides a range of services including voice, messaging, data and fixed communications. Vodafone has mobile operations in 26 countries, partners with mobile networks in 49 more, and fixed broadband operations in 17 markets. As of 31 December 2016, Vodafone had 470 million mobile customers and 14.3 million fixed broadband customers.